During my November 2017 trip to Cuetzalan, I decided to check out one of the local waterfalls. 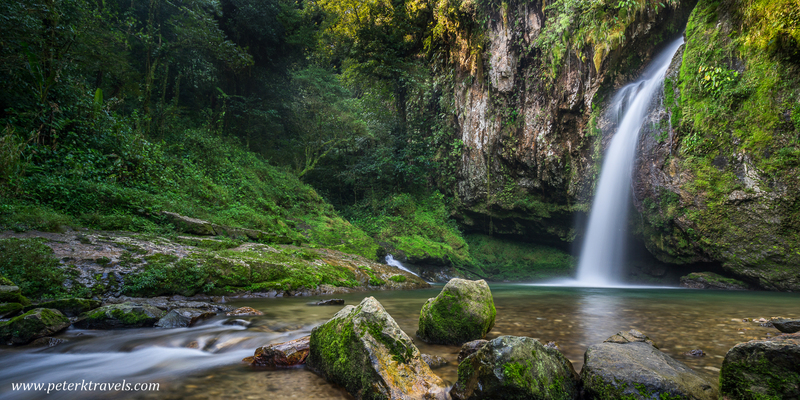 Located just outside of town, Cascada Las Brisas looked like the most spectacular one. There are plenty of touts selling tours to the waterfall, but I wanted to go early in the morning before too many people were there, so I decided to walk. I used Google Earth to map the best way to get there, and then I started walking. I found my way there, but I think I went the wrong way. 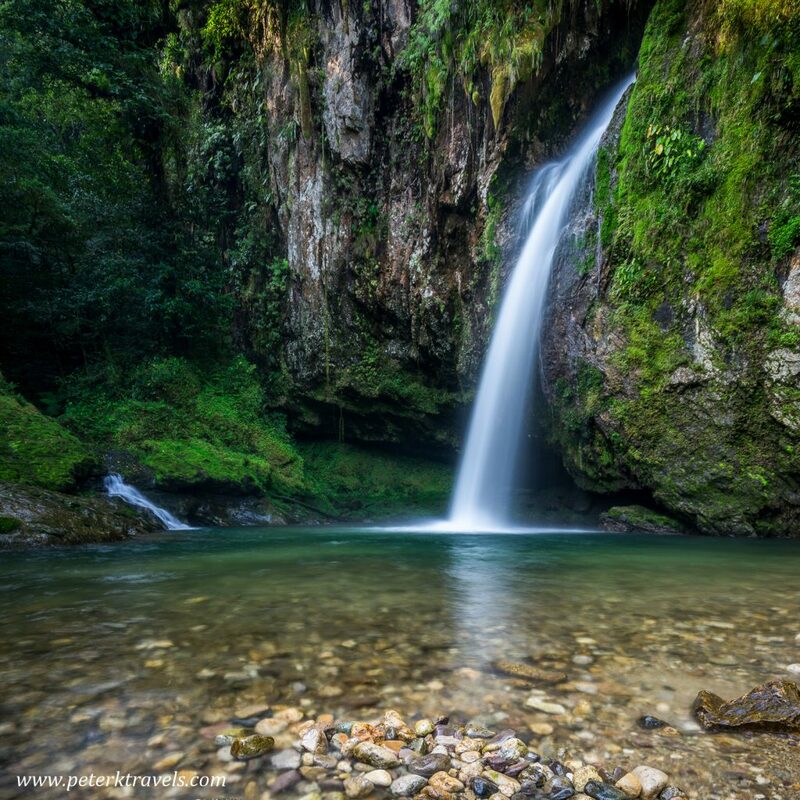 I walked southeast out of town on the road marked “Guerrero” thinking I could walk past the “Reserva Azul” noted on the map, and would shortly arrive at the waterfall. 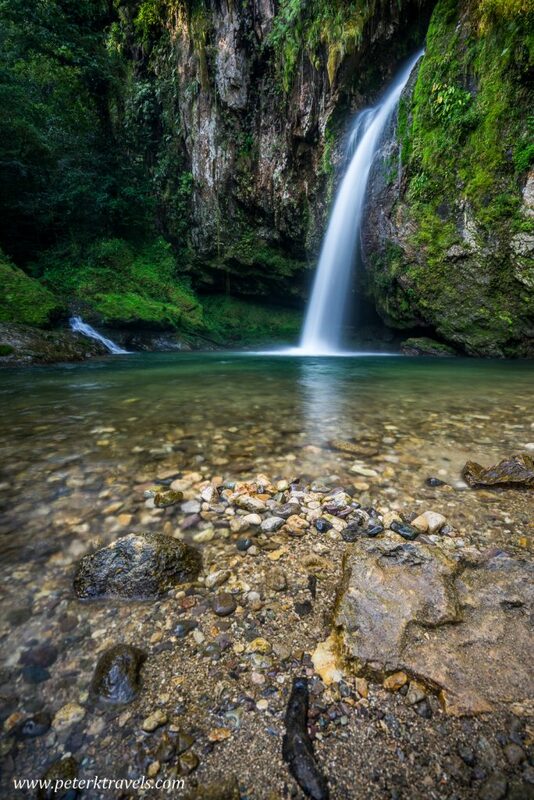 Unfortunately, though you are physically close and can hear it, there is no path down to the waterfall from there. So I ended up continuing along the path northeast all the way up into San Andres, then back south into the area marked on the map. It would have been easier to just walk east out of Cuetzalan to San Andres, then to the waterfall. Still, it was a beautiful walk on a very nice day. Just maybe a little longer than it needed to be. 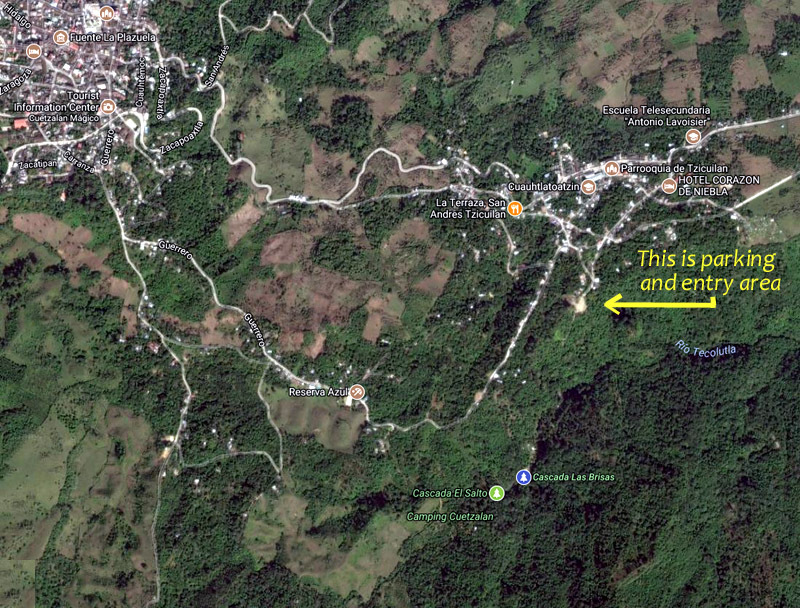 If you walk, I suggest heading east out of Cuetzalan to San Andres, then to the waterfall. The waterfall itself was worth the walk. I brought my tripod along so I could take some longer exposure photos. Luckily, I had the place to myself for about thirty minutes. As I was leaving, a family showed up and they actually jumped in the water. I could tell by their reaction that it was very cold, so I’m glad I didn’t try swimming.